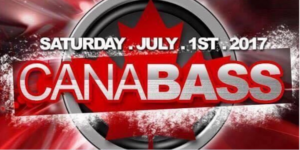 HomeGrown SoundCrew and Sketch Kidd Productions are VERY EXCITED to spend Canada’s 150th birthday with you!! From June 30th to July 2nd, we will be tucked away 30 min from Moncton, bringing you some of the freshest DJ’s from the East Coast to the West Coast of CANADA! We have on site security/medic, a full service canteen, Vendors Area, Chill Zones on a sandy river, Camping, Live Art. – Performance artists such as Fire Spinners, Hula Hoopers. Ticket Location and Online Tickets Coming Soon! Age Limit 18+ ID at Gate. No Glass, No Weapons, No Fighting, No Drugs Just Hugs.